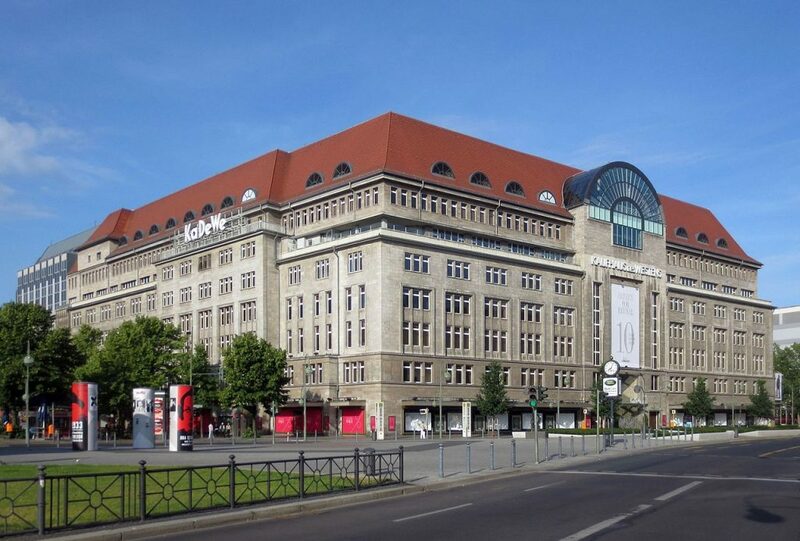 After Harrod’s of London, Berlin’s Kaufhaus des Westens, pictured above, is the continent’s largest department store, at roughly 60,000 square meters (about 650,000 square feet) of retail space. Each day, KaDeWe (as it’s typically called) has more than a quarter-million different items for sale ranging from clothes to jewelry and everything in between. The selection is only matched by the customer base — on a daily basis, as many as 50,000 visitors come to KaDeWe to shop. On January 25, 2009, three of those visitors entered with another purpose in mind. Early that morning — well before the store opened its doors — three masked men climbed onto an awning overlooking the store’s second floor, pried open a window, lowered a rope ladder, and made their descent onto the store’s floor. While their entry was captured by security cameras, the footage wasn’t noticed in real-time, as the thieves avoided the store’s motion detectors. They made their way through the jewelry department and helped themselves to a haul worth the equivalent of $6.8 million. They exited undetected, leaving behind only the rope ladder and a single latex glove. The crime was one for the ages; a store spokesperson told the New York Times that “there’s no comparable crime in the store’s history.” And, given the paucity of evidence, it looked like the thieves were going to get away with it. What can one learn from a rope ladder and a latex glove? And then, a break — something right of out an episode of CSI. While real life rarely works this way, that glove ended up holding a key clue as to the identity of one of the thieves. Inside that glove was a little bit of sweat, enough to run a DNA test. German investigators ran that DNA against a government database, hoping to come up with a match — one which would definitively put a suspect at the scene of the crime. But they didn’t get a match. A pair of brothers — reported, pursuant to German law, by only their first names (Hassan and Abbas) and last initial (O.) — came us as positive hits for the DNA provided. Hassan and Abbas, it turned out, were twins, and the glove could have belonged to either of them. And as a result, both brothers were released. The case, officially, remains open. Bonus fact: Police don’t necessarily need a new test to tell identical twins apart. There’s a rather old one that works really well, too: fingerprints. As the New York Times explains, “while a fetus is developing, the ridges along these patterns are influenced by a number of factors, including bone growth, pressures within the womb and contact with amniotic fluid. ” As a result, identical twins typically have similar but hardly identical fingerprints. From the Archives: The Swedish Coffee (and Tea) Experiment — involves twins, and wouldn’t be done today (ever).